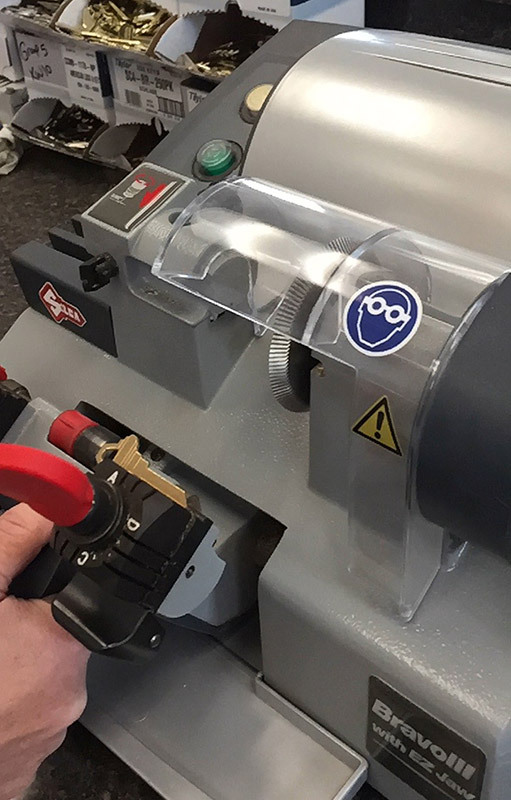 Using our state-of-the-art key cutting equipment, we can duplicate the exact configuration of your existing key. Our key duplication service is one of our most commonly requested here at Quality Key Locksmithing. Just about everyone will need a key copied at some point, and it is always best to have it done before you need it. If you lose your keys, it is much more difficult to rekey your existing lock than it is to copy your keys in the first place. We can help you out with this so that you are never without your keys when you need them most. The key duplication process isn’t as difficult as you might think. Using our state-of-the-art machinery, we can copy the exact configuration of your existing key. Then, we can cut a new key so that it is an exact match. This way, there won’t be any sticking or jamming, even the first time you use your new key. Even if you don’t plan on using your new key right away, it will be the perfect backup in case anything happens to your current key. We can copy house keys, car keys and any other keys you need duplicated. When it comes to key copying, you want to have confidence that the company you choose is reputable and honest in order to preserve your security. All of our locksmiths are certified and registered, so you can have peace of mind that you made the right decision in working with us. We are experts at what we do and will get the job done safely and accurately the first time. We guarantee that we will not store any information about your keys, nor will we make any additional copies beyond the ones you request. This way, there is no risk of your keys falling into the wrong hands. We are fully insured as well for your protection. At Quality Key Locksmithing, we understand how busy your daily life is, which can make it challenging to find time to visit a locksmith. That is why we provide a mobile locksmith service. Rather than having to bring your keys into our shop, we can bring the shop to you. Our mobile technicians can handle nearly every locksmithing job you need, including key cutting. When you call Quality Key Locksmithing, we will dispatch an expert locksmith to your location anywhere in and around Wichita, KS as quickly as possible. We do everything possible to get your job done efficiently and accurately, and we’ll always provide you with a price quote before we get started so that you know what to expect. Call today for key duplication service and more!